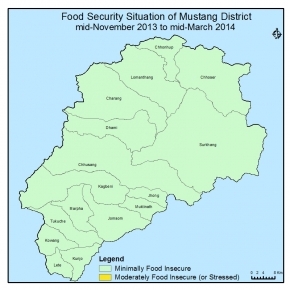 The food security situation is likely to remain same (mimimal food insecure) in the next cycle. * People will in migrate to home taking some food and money with them. * No significant cases of disaster and disease epidemic is anticipated.